Nothing Ever Dies, Viet Thanh Nguyen writes. All wars are fought twice, the first time on the battlefield, the second time in memory. 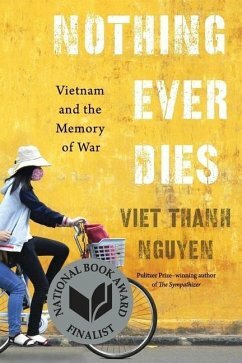 From the author of the Pulitzer Prize-winning novel The Sympathizer comes a searching exploration of a conflict that lives on in the collective memory of both the Americans and the Vietnamese.